Makeup Revolution is fairly a newer brand. It is a very affordable brand, and has a vast variety of products to choose from. Recently I have seen YouTube beauty gurus talking about this brand, and everyone seems to like it. The quality is very good for the price you pay. 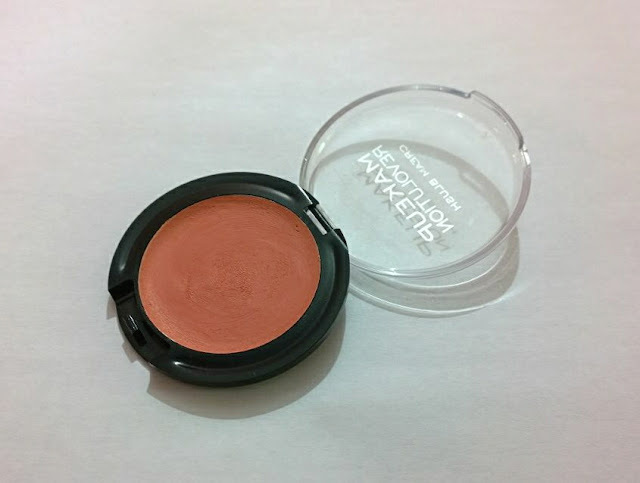 Its blushes are most loved‚ so I thought to try out some Makeup Revolution Blushes. I picked the one in cream formula and the shade is Peach Cream. Read below what I have to say about this blush. This cream blush is easy to apply for a natural finish that is smooth and long lasting on the cheeks. Can be layered onto the cheeks for more depth. It is available in four shades. 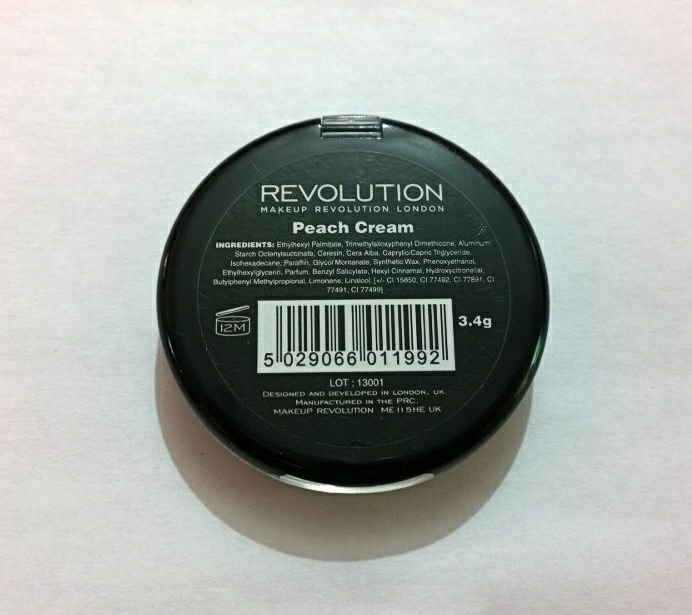 The Makeup Revolution Cream blushes are available in black plastic packaging with clear lid. The lid shuts securely and the packaging doesn't looks too cheap. Overall I liked the packaging and it is travel friendly. This is a perfect summer blush, and you will surely need it in your life. It is a true peachy shade and the cream consistency allows it to blend nicely, and you can wear it without foundation too. It doesn't have a very creamy formula‚ in fact it's thicker in consistency. Once you blend it on your cheeks it gives you more of a powder finish. The blush will look very natural on your cheeks, if you use a light hand. The pigmentation is very good and you can easily build up the intensity. The blush does settle into your pores‚ if you have bigger pores. Otherwise‚ if you use a pore minimizing primer underneath your foundation‚ it won't emphasize your pores. If you have dry, flaky skin it might be a bit too drying for your cheeks. So using a good moisturiser before applying the blush is recommended. It is a very affordable blush and you can easily increase your blush collection by buying multiple blushes from this range of Makeup Revolution. The blush lasts you good 5-6 hours before fading. It will last longer if you don't sweat a lot in summer and have normal skin type. I love how natural it looks and how perfect it is for an everyday use. I love applying this blush using my Elf Stipple brush. You can apply it with any stipple brush you have or you can use your fingers. 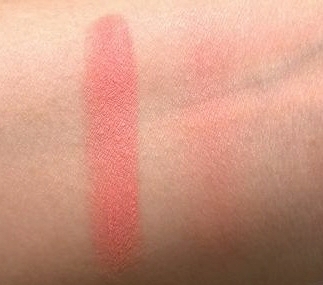 Makeup Revolution Cream Blush in Peach Cream Swatches( L to R) Heavily swatched‚ blended. Overall I will say that it is a good blush and you definitely need to get your hands on it. It retails for £1.5 and is easily available all over the UK. 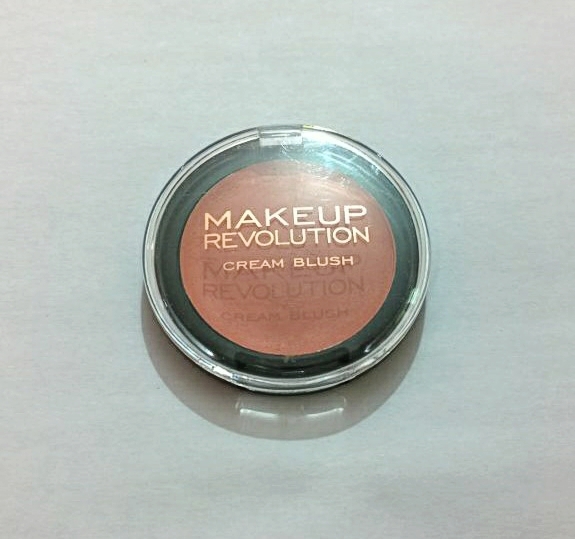 If you live in the USA‚ you can purchase it from your nearest store selling Makeup Revolution products.